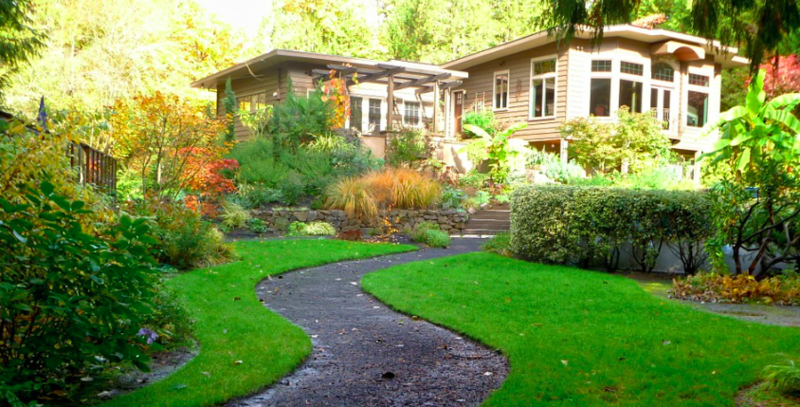 Whether you’re a professional or a do-it-yourself-er, there’s a lot to think about when it comes to quality landscaping. This is a big year and you want to make sure everything runs smoothly. You want to make sure you do your best work. The end result is a beautiful landscape that draws oohs and ahs from guests and people strolling through the neighborhood. You need the right equipment to take advantage of new trends and perennial park-like appeal. This mini-guide provides a snapshot of gorgeous landscapes and a rundown of essential equipment, right down to the best type of utility trailer tires. 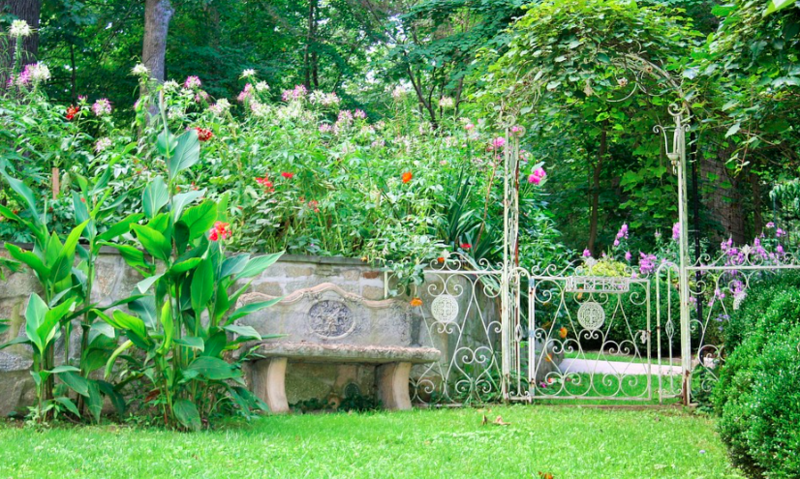 Here’s the information you need for great landscaping this summer. Ever heard of hygge? A Danish word closely related to coziness—a mindful state of relaxed well-being—hygge is one of the landscaping trends for 2017. Trellis arches with trumpet vines or Lilac Solanum, decorations that take advantage of natural light, water features, and close-knit wicker seating arrangements all have hygge appeal. Arrange plenty of planters in the hygge space, with warm and aromatic flowers such as hyacinths, tulips, and Dutch amaryllis. Any of these strike your fancy? It’s exciting how many new and attractive things you can do with your outdoor space. To make a gorgeous landscape blossom, use the best tools for the job. Now that you know what tools you need, it’s time to zone in and make sure you’ve got the essentials on lockdown. The first thing to consider for your landscaping trailer is whether you need an enclosed or open one. Your pickup has a limited towing capacity. Enclosed trailers weigh more than regular trailers, but the advantage is they protect against theft. The typical 6×12 single axle open trailer can handle upwards of 2,000 pounds. Before you buy a trailer and load it down with stuff, check your truck’s weight-carrying capacity, as well as its tires, and choose accordingly. Consider the weight of all the tools you’ll be hauling, and leave room for landscaping materials such as bark, turf, and rocks. You’ll need utility trailer tires that can handle the workload. The Velocity WR078 is a good all-around utility trailer tires with extra rubber underneath the tread, which protects it from flats and improves stability, while twin steel belts increase traction and durability. In terms of brakes, the Department of Transportation requires you to have them on the trailer if it pushes your Gross Vehicle Weight over 3,000 pounds. Go with electric brakes, and check whether your state allows surge brakes if that’s what you’re considering. Get a trailer with a wood deck, they’re lighter so you can haul more, and if you don’t have a truck yet, you’ll need a half-ton in order to haul a landscaping trailer. When it comes to your mower, it’s a choice between a riding mower, lawn tractor, or push mower. A lawn tractor, such as the kind popularized by John Deere, are best if you’re a homeowner with half an acre or more to cover. 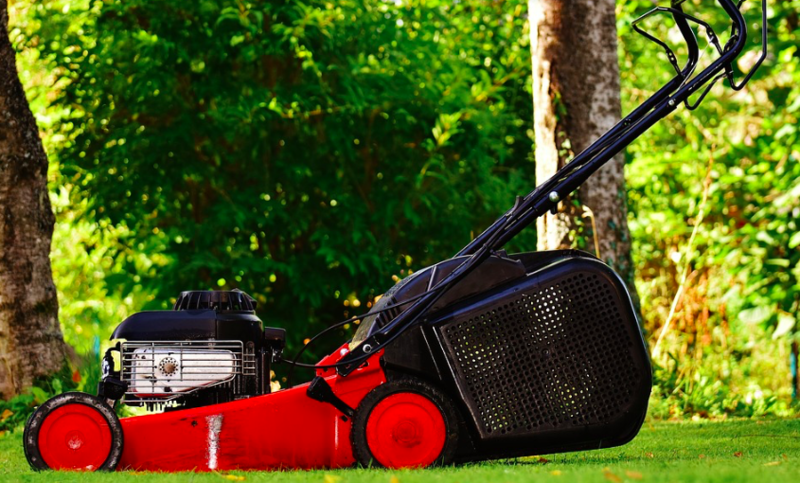 The pros choose between zero-turn riding mowers, and push mowers. A push mower will offer you more flexibility for twists and turns and steep slopes, while a riding mower offers speed and the ability to cover big spaces. You can’t go wrong with a riding mower or tractor, because many of the newer models can also handle steep slopes and sharp angles. The one thing they can’t handle is tight spaces. The best edger, at least according to Popular Mechanics, is the Ariens 986103. It has seven angle settings, a 21-inch wheelbase for improved accuracy, and solidity that eliminates annoying and unhelpful vibration. Do your research online to determine the best chainsaws and leaf blowers before you buy. And, if you’re thinking of making a business out of this, check out these 10 tips on how to succeed. 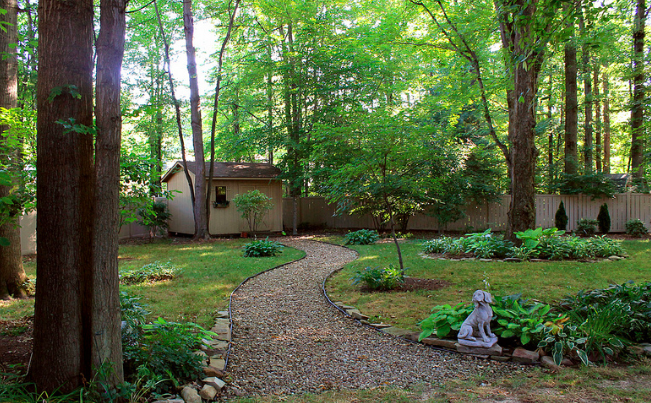 Landscaping is a unique pursuit that starts with power tools, materials, and hard work. It ends with a space looking like a piece of art. There’s nothing like the satisfaction of doing it well.